The standards tool bucket by Buckingham is a staple on any lineman’s truck, use it to carry your tools, your lunch, blocks, rope or anything else you need easy access to. 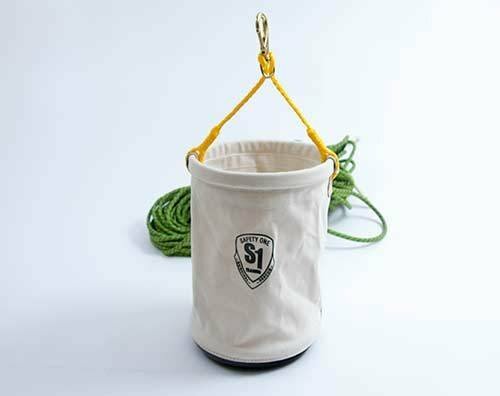 A canvas bucket made with heavy canvas construction and a molded rubber bottom with a solid continuous PVC ring in top and a polypropylene rope with brass swivel snap. Features an 8″ x 8″ inside pocket and measures 12″ Dia. x 15″ H.
Measures 12″ Dia. x 15″ H.